I haven't read science fiction for a while. I used to love Clarke and Asimov as a teenager, chuckled at Douglas Adams then had a lull until I was gifted Dune a few years ago. Having just finished Adrian Tchaikovsky's Walking to Aldebaran, I can see myself looking for more sci-fi novels, and certainly more of his. His writing is tight - a strong voice with credible characters (well, mostly just the one) and enough exposition to keep it interesting without hand-feeding the reader. The novella is rather far fetched, even for science fiction - the gateways in the Knossos like labyrinth, unrestricted by time and place, are fine, but the roaming aliens seemed a push too far for me. But, don't think too hard and just enjoy the quality of the writing. A very solid 4 stars, and a taster that will definitely get me reading more of the author's works. 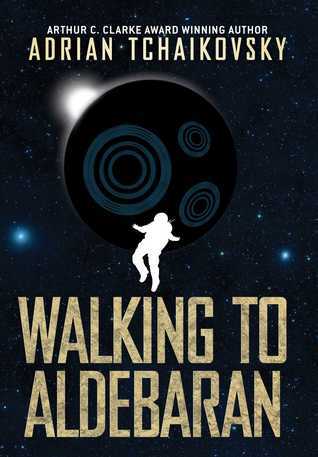 Sign into Goodreads to see if any of your friends have read Walking to Aldebaran.